Thanks to our sponsorship with TN Craft Beer Magazine, Chris & DJ traveled Murfreesboro, TN for an adventure so epic that we’ve decided to do three episodes on it! 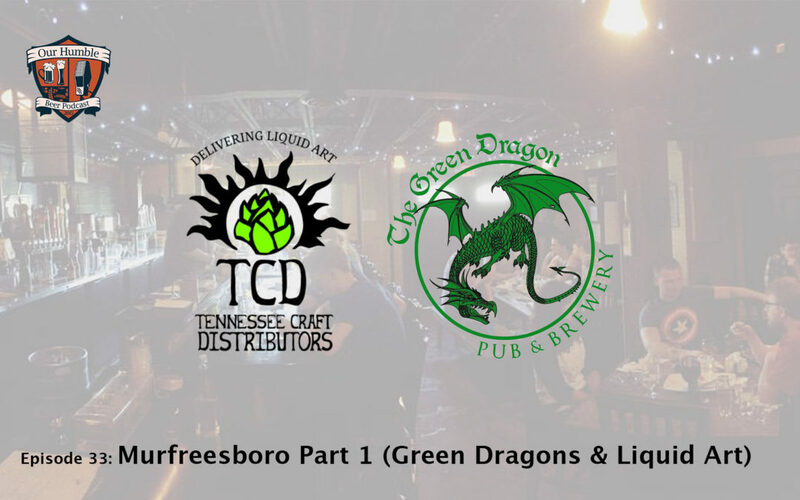 In this first part, the boys grab a few pints at the Green Dragon Pub & Brewery with Joe Minter, the proprietor and head brewer, and Ed Muranyi, the owner of Tennessee Craft Distributors. They talk about the challenges of opening a craft brewery in a traditionally non-craft beer town and about the challenges of starting a small distributorship from scratch. It’s a wild ride, and it’s just part one of the crazy adventures Chris & DJ had in Murfreesboro! Great job! We love Ed and Joe!! Everyone should get to Murfreesboro to check out all the fun new things happening.